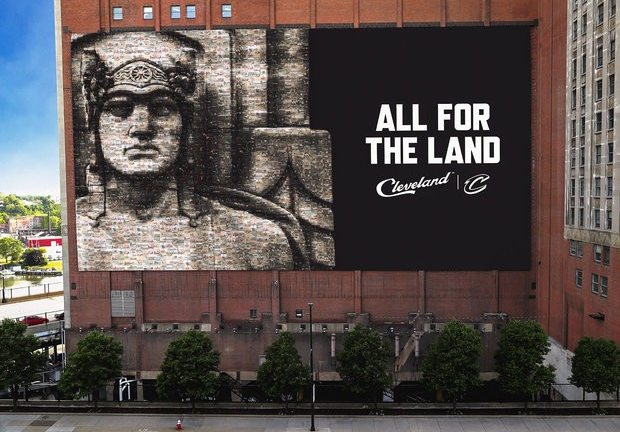 If you live in Cleveland, you most likely have seen the iconic poster of LeBron James that used to occupy the side of the building across from the Quicken Loans Arena. After LeBron James left the Cleveland Cavaliers for the Los Angeles Lakers earlier this summer, the poster was taken down, leaving the building barren. No one knew what, if anything at all, was going to replace this recognizable poster. The Cleveland Cavaliers have just unveiled an image of the proposed banner. The Cavaliers Chief Executive Officer, Len Komoroski, claims that the banner is a “grand civic gesture.” As of Friday, they have just received a quick and unanimous approval from the Cleveland City Planning Committee. The Committee members said that they specifically liked the inclusion of all Cleveland residents in the poster. The Cleveland Cavaliers have been a part of the city’s history and legacy for many years, so it is appropriate that whatever replaces the old poster will be a testament to the team and to the city that supports them.